Hello my beautiful dolls!! New York is finally seeing some warmer days and I'm ecstatic to wear lighter and brighter colors and coordinate my makeup to match the rays. Today's look is sunny days - inspired and is featuring our Motives Mavens ELEMENT Palette, which you can pre-order here (US / CA) or here, if you're an international customer. Thank you so much for contributing to the success of this palette, it's sold out numerous times over and is officially one of the most popular products Motives has to offer. Woo-Hooo!!! Read more for tutorial & how-to! 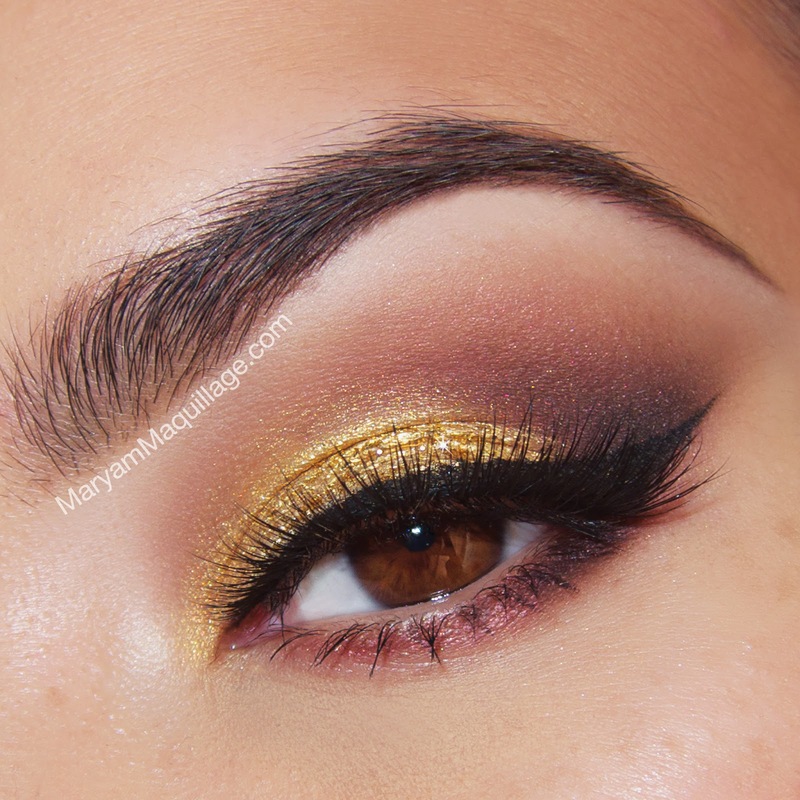 Warm golde shadows are perfect for reflecting the sun rays! Motives glitter pot "Pot of Gold"
Apply eye base all over the lid. Using a stuff crease brush, apply "Native" eyeshadow (ELEMENT Palette) directly to the crease and blend it upwards. Apply "Birch" directly under the brow to blend with "Native" and to add more contrast. Using a small contouring brush, apply "Bordeaux" to the outer crease and lower lash line to warm up the shadows. With a large flat brush, apply "Sunkissed" single eyeshadow to the lid and inner corner. With a detailing brush, sharpen and darken the outer corner using "Raven". 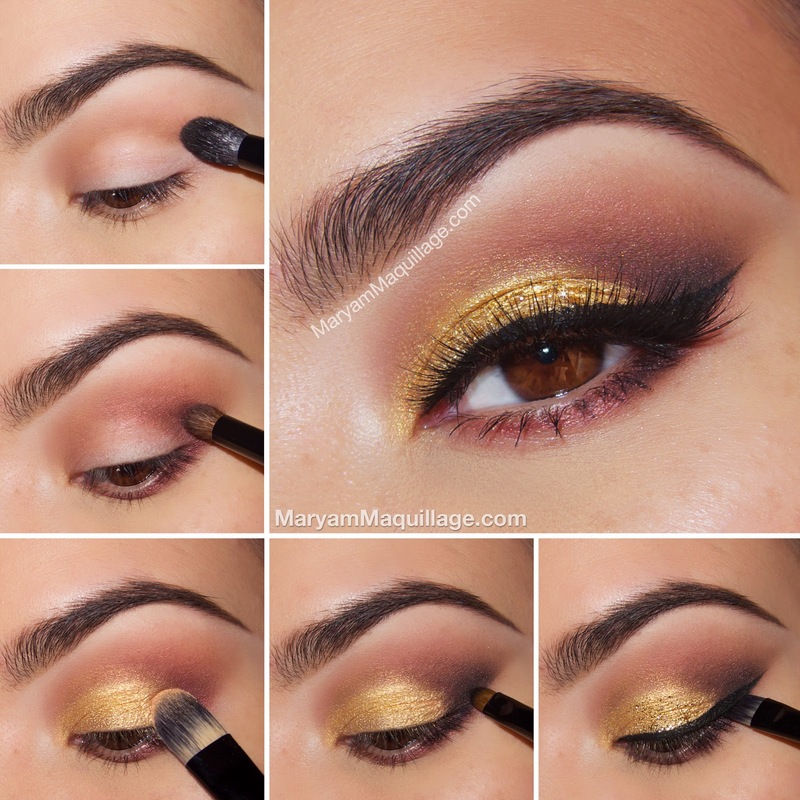 Add a touch of "Pot of Gold" glitter to the center of the lid. Line the top lash line with "Little Black Dress" gel liner and wing it out. Apply false lashes and/or mascara to complete the look. Great make up! You look sooo pretty! Gorgeous!! Lovely makeup and great talent! It's the perfect conbination! Amazing work! Love all your tutorials!